Blink has an interesting proposition as a connected security system: one sync module that plugs into MicroUSB for power but connects to your network over WiFi, and 1 to 10 completely wireless cameras that you can place anywhere without worrying about power or connection cables. They only get triggered by motion and record short clips (max. 60sec) then go back to idling. When I reviewed the system last week, I found the idea promising but complained about the slow app and the missing hardware features: no weatherproofing and no night vision were big deal-breakers for me, and the 720p resolution was limited too. 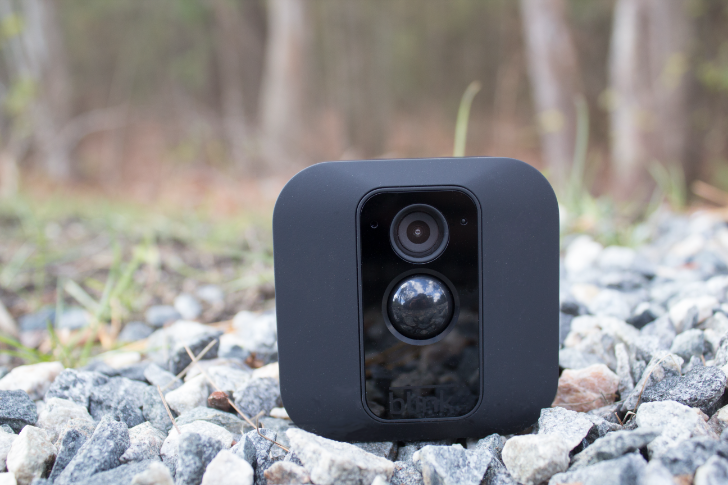 Now Blink is remedying this by offering an outdoor camera, the Blink XT. It keeps the same squarish shape of the Blink cams, dons a black case, is IP-65 rated for water-resistance and better weather-proofing, records video in higher resolution 1080p, has an infrared night vision sensor, and keeps the same 2 year battery life of the regular Blink cams. That's a very unique offering in the outdoor security cam space which has gotten crowded lately with the Canary Flex, Nest Cam outdoor, Netatmo presence, and more. The Blink XT still requires the Sync Module to be present, so for now you will need an existing Blink system with one Sync Module and one camera to make it work. It costs $119 and is available for pre-order with a tentative shipping date of February 2017. Buy a 1 or 2 camera Blink System, use code XTPRE4 at checkout and you'll get a 20% off code for the XT's pre-order. Buy a 3 camera Blink System, use code XTPRE3 at checkout and you'll get a 50% off code for the XT's pre-order. Buy a 5 camera Blink System, use code XTPRE1 at checkout and you'll get a 100% off code for the XT's pre-order. If you're interested in the Blink XT and you don't have an existing indoor system or plan on buying one, you should know that the team will later offer a standalone Sync Module for $50 to buy along with the $119 Blink XT.